FriendGrief: Grieving For and With Your Friends. Grieving For and With Your Friends. 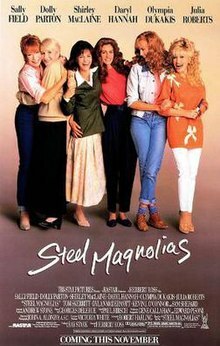 It’s considered a classic now, Steel Magnolias. The play by Robert Haring made a wildly successful transfer to the screen with an all-star cast: Julia Roberts, Sally Field, Olympia Dukakis, Shirley MacLaine, Daryl Hannah. On the surface, it’s a story of the love between a mother and daughter. But as you watch the film, you can’t help but be struck by the emphasis on friendship. The women in this film are friends, long-time friends who celebrate and tolerate each other’s imperfections. They aren’t shy about expressing their support or criticism, but it’s always, always, done with love. Maybe you have friends like them. I know I do. So when Julia Roberts’ character dies, the older women rally around their friend, Sally Field. I’ve included the clip from the cemetery, a scene you’ll no doubt remember because of your inability to watch it without crying yourself. Her grief and rage are familiar to those of us who have lost someone we love, whether friend or family. But what I’m always struck by are her friends. They watch her standing alone near her daughter’s grave, and approach her. They try, mostly unsuccessfully, to make her feel better, to lessen her loss. But they know they can’t. You can see it on their faces. They can’t make the grief go away. They can’t justify her loss. They can’t change anything, though they’d move heaven and earth to do so. They are helpless. Watch the scene: they are helpless in the face of so much pain. So they do what friends always do: they wait. They let her scream and cry and pace and curse. And they wait. And then, improbably, they make her laugh. What did they accomplish, other than – temporarily – relieving the tension? Her daughter was still dead, her grandson growing up now without a mother. Nothing changed. Except for one thing. She was reminded that she wasn’t alone. 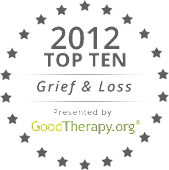 For me, the most devastating part of grief is feeling you’re alone, that no one else understands – or cares about – what you’re going through. That’s where friends make all the difference, even when they themselves are grieving. They can help their friend by understanding, not judging; by listening, not lecturing; by crying and on occasion, laughing. “I didn’t know what to say” is a common excuse for doing nothing to help a grieving person. Well, guess what? You don’t have to say a damn thing. Just show up. Just listen. Because like Sally Field’s friends, you’ll make all the difference in the world.